When you think about the accomplishments of great business leaders, the scope of their achievements may seem intimidating. After all, they’ve made huge waves in the world of business, whereas you may feel like you’ve barely made a splash. But that doesn’t mean that you can’t learn from them in order to become a better leader yourself. Let’s examine some habits of great business leaders that you can adopt to strengthen your leadership skills. When practiced consistently, these great habits can set you apart and help your business grow. Great leaders know that routines help eliminate unnecessary distractions and decisions. Take Facebook creator Mark Zuckerberg, for example. He simplified the decision of “what to wear” by sporting the daily uniform of jeans and a hoodie. Your workday should save time and money by managing the right way, have routines that increase efficiency and cut out trivial decisions. Make it a habit: In addition to standardizing your uniform, there are many things you can do to help automate your day. For example, check your email only three times a day: in the morning, lunch and an hour before leaving. Other than that, keep your inbox closed. You’ll be surprised at how much time you save. “What if someone has an emergency?” you ask. Well, if it’s a real emergency, they’ll call you. Great leaders think things through. Advocates for World Health founder Ryan Kania takes a weekly hike by himself, carrying along his journal. This gives him the chance to disengage from and then reassess the problems that his business is facing. Make it a habit: Carve out time to think deeply each day. The next time something stresses you out – write it down. Write down what the problem is, how it makes you feel, what is going to happen if the problem continues and what you can do about it. Then step away from that problem for a few hours. Come back to it and reread what you wrote. This exercise helps you see the issue for what it really is, instead of through the lens of a problem. Great leaders don’t just have big ideas; they make big ideas a reality with careful planning. Serial entrepreneur Elon Musk always appears fifty steps ahead of the industry. After selling PayPal, he now uses his fortune to finance his space exploration company SpaceX and his electric luxury car company Tesla Motors. Musk didn’t just decide on a whim to start a space exploration company. He had a plan in place and selling PayPal was the first step. Make it a habit: Clearly define your goal and make it measurable. Don’t just plan for a successful business, be specific. Define what success will look like. Then ask yourself every night before bed “if I spend every day like this, will I reach my goal?” If the answer is no, make the necessary adjustments. Great leaders know that a decent plan executed today is better than an awesome plan executed after it’s too late. CEO of JetBlue airlines, David Neeleman had to act fast in attending to customers concerns when an ice storm forced the company to cancel over 1,000 flights in 2007. He promptly drafted a customer bill of rights and a public letter of apology. Then, he went on television and YouTube to explain his plan to compensate customers. Today, JetBlue enjoys its 1st place ranking for customer service among airlines according to NY Daily News. Make it a habit: Being decisive doesn’t mean being reckless. Get as much information as possible and then make a pros and cons list for each of your options. Once you’ve weighed each decision, imagine your life 5, 10 and 30 years down the road if you’d made each decision. Then act decisively. Own your mistakes. Great leaders know that sometimes plans don’t work out. When you encounter setbacks, you have to own them. Amazon CEO Jeff Bezos recently said in a Business Insider interview, “I’ve made billions of dollars of failures at Amazon” and then went on to list some of the company’s biggest flops (pets.com, anyone?). Make it a habit: Everything is on you when you run a business. When something goes wrong, ask yourself, “How is this tied to my decision-making?” Even if it was an employee who made the mistake, you’re the one who hired and trained them – or hired the people who hired and trained them. When you own this level of responsibility, admitting you made a mistake isn’t a big deal because you’ve accepted that everything is your decision. This sounds overwhelming but it is actually quite empowering. Great leaders know that their employees help provide the creativity and energy needed to grow a business. That’s why it’s important to listen to their ideas and concerns. Jim Sinegal, CEO of Costco, told Entrepreneur.com he literally moved his desk to the middle of a hallway so that anyone in the building could access him. His employees are free to discuss issues with him without having to jump through hoops to get a meeting. It’s no surprise that Costco has also enjoyed a 12% turnover rate for the last 3 decades. Make it a habit: Pay attention to what you say when chatting with employees. Do you follow up their statements with a statement about yourself, or do you follow up with a question that encourages them to continue? Try to keep the conversation focused on the other person and make note of the important things they tell you. Casually follow up with them about it a few days after the conversation. This subtle bit of selfless conversation shows your employees that you are genuinely interested and value their input. Plus, it’ll help you stay abreast of the workplace happenings that otherwise might not reach your ears. Great leaders make it their mission to help employees reach their potential, which means investing time, energy and resources to help employees grow. According to MSNBC, under the leadership of CEO Steve Ells, Chipotle Mexican Grill will offer paid vacation, sick leave and tuition reimbursement to all of its employees. Analysts are now predicting its profits to increase in the next year. Make it a habit: No matter your budget or business size, you should always be educating your employees. In the next month, make it a point to offer one educational experience to every employee. It doesn’t have to be a fancy seminar that costs a fortune; it could simply be the latest and greatest instructional video or a subscription to a magazine that would be helpful for them. In three months, find a new educational bonus to offer them but keep the old one around if it’s still relevant. Next Steps: You’re busy. We get it. So why not let us do some work for you? 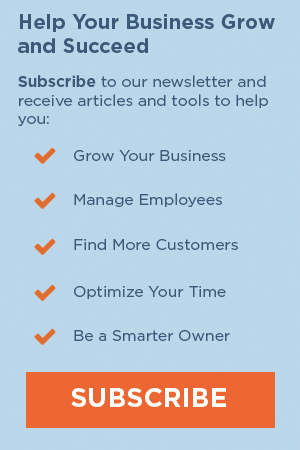 By signing up for the weekly Small Biz Ahead Newsletter, you’ll receive hand-picked articles, How-Tos and videos covering the latest in small biz tools and trends. We’ll do the research while you spend your time where it counts: managing and growing your business. 25 Responses to "7 Daily Habits of Great Leaders and How to Add Them To Your Daily Routine"
Glad you enjoyed it Pam! Thanks for the feedback. Good advice. Number 3 fell right in line with a Ted Talk that I watched earlier this week by Brene Brown titled Vulnerability. Good stuff. Thank you. Thanks for the feedback! Glad it was helpful. Owning your mistakes is huge in Hazard Communication. When a release of toxins happens, the public will eat you alive if you try to minimize or deny it. Handling chemicals is complicated, don’t make it more complicated avoiding blatant mishaps, which are bound to happen. Public will have some mercy when you humble yourself. Thanks, Leslie! We appreciate your feedback. Thank you for a timely message to a growing entrepreneur! I loved the comment that “We become what we repeatedly do”. How true is that when you think about it. I always think to myself: If I could just get up every day and “Go for the Gold”!! Everything would probably change for the better in business and life!! enjoy reading the article. great advise for success. It’s telling to me that even though women own 40% of all businesses in the US that you couldn’t find a single woman leader to quote in your article. I’m assuming there are some women leaders who are powerful and effective business leaders. Mary Barra perhaps? Ursula Burns? It doesn’t count unless the ‘leaders’ are the owners of the business. How about Oprah Winfrey who built an empire and influenced the interests and behavior of several generations of Americans. Women are 47% of the workforce and control 51% of personal wealth in the US. 99.9% of all women-owned businesses are small businesses. Presumably, the intent of this article is to provide an inspiring, action oriented message for small business owners. Quoting 100% men doesn’t necessarily make the lessons less true, but it does make it less effective and much less powerful. It further perpetuates the stereotype of what an effective business leader looks like. I challenge you to ask what would happen if you found some enormously effective women or minority business leaders? Actual small business leaders? I’d like to suggest that the message might be enormously different, more powerful, and more actionable for the audience you’re targeting. I notice this article was written in 2015 and recently updated. I like that the suggestions are broad, but the examples are very specific, and include mega-successful entrepreneurs. Great advice! I believe wholeheartedly in the ideas and suggestions laid out in this article, but I struggle with a business partner who is risk-adverse and hates change. Thanks for this idea Jennifer. We’ve noted this for a posisble article or podcast topic! Like the seven daily habits, I copied down so that I can practice. This article was well written. I do have a comment about item #2 and would like a follow-up article, which should also include information to address the comment left by Tanya Olson. I think #2 is male centered and not female centered. I think #2 is big corporation versus small business. Here is what I mean by that statement. I am taking over a local insurance agency. Currently, the agency is owned and operated by a white male. I am a white female taking over the business and my style of leadership is different. The current owner, again a male, tells me that I need to make sure to visit with all the staff. However, what he doesn’t realize is that by the very fact of me being a female – with a predominantly female staff – they already tell me a lot about the personal lives. They do not go to him, so he must proactively check in with them. I do proactively visit with them, but it opens up a “can of worms” that he doesn’t see. In fact, all the staff (male and female) want to speak to me on a constant basis. If you add up the time they want to speak to me versus the number of work hours, then you will then realize why I work to midnight every night. The current situation is not sustainable. It is easy to be removed from the employees if you are an exec of a large corporation, but not if you are a small business. This is why I think you need a follow-up article for item #2 addressing the challenges of leading a small business, and include comments on how women leaders can handle #2. Women leaders need help and advice on how to be a Boss without appearing to be a B*%#h. We need an article on how to listen, which women do naturally, and still have time to actually be the leader. Men running small businesses probably face this issue too, but not to the degree of women bosses. I hope you understand what I am trying to say in my comment because I would very much love a follow-up article. © Copyright 2019 The Hartford. All Rights Reserved. Brought to you by The Hartford. The content displayed is for information only and does not constitute an endorsement by, or represent the view of, The Hartford. Information and links from this article are provided for your convenience only. 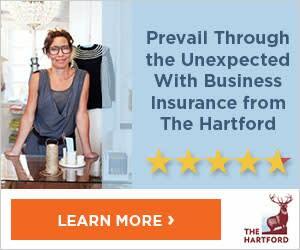 Neither references to third parties nor the provision of any link imply an endorsement or association between The Hartford and the third party or non-Hartford site, respectively. The Hartford is not responsible for and makes no representation or warranty regarding the contents, completeness or accuracy or security of any material within this article or on such sites. Your use of information and access to such non-Hartford sites is at your own risk. You should always consult a professional.